Varicose veins occur in almost every part of the body. Superficial veins become most prominent in the lower extremities because of venous insufficiency and the effect of gravity. 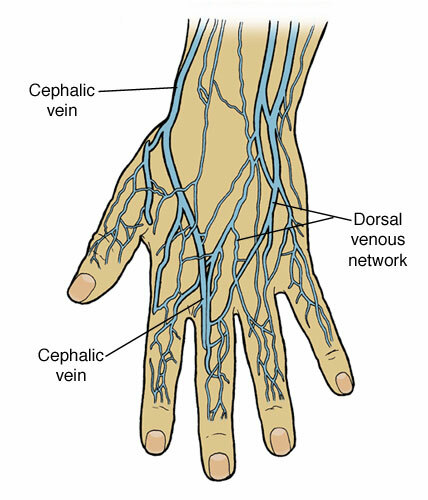 Varicose veins of the hand are found on the dorsum of the hand (back of the hand) and cause significant concern to men and women. They are especially concernig to women above the age of 48, according to a recent study done at the Vein Treatment Center by Dr. Karamanoukian.